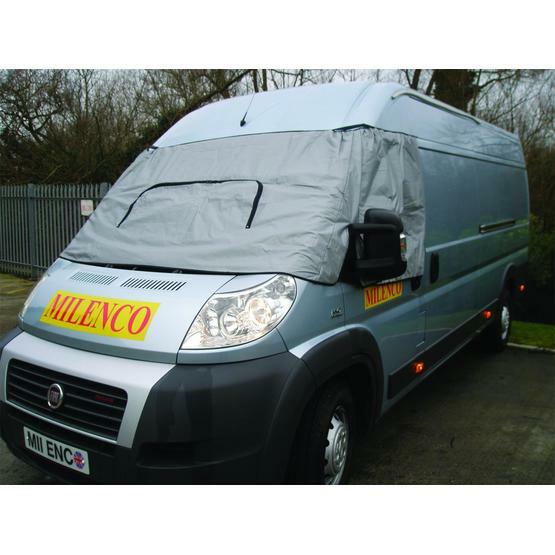 The Milenco External Universal Thermal Blind fits externally using the doors to keep it secure and is ideal to prevent condensation forming on the inside of your cab. 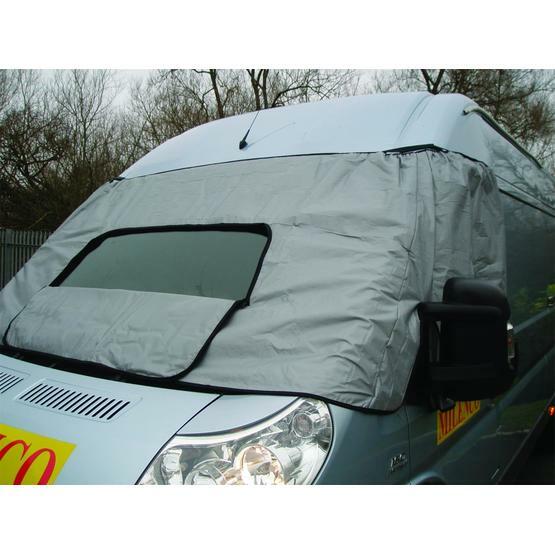 This blind has a unique elasticated edge making it easier to fit every Motorhome standard cab. 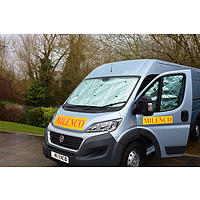 Fits all standard chassis cabs including - Fiat Ducato, Ford Transit, Mercedes Sprinter and Vito, Peugeot Boxer , Renault Master , Volkswagon Transporter. 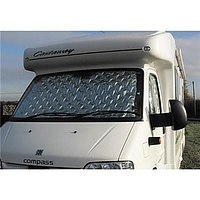 This Milenco Thermal Blind will help keep your Motorhome cool in summer and warm in winter. 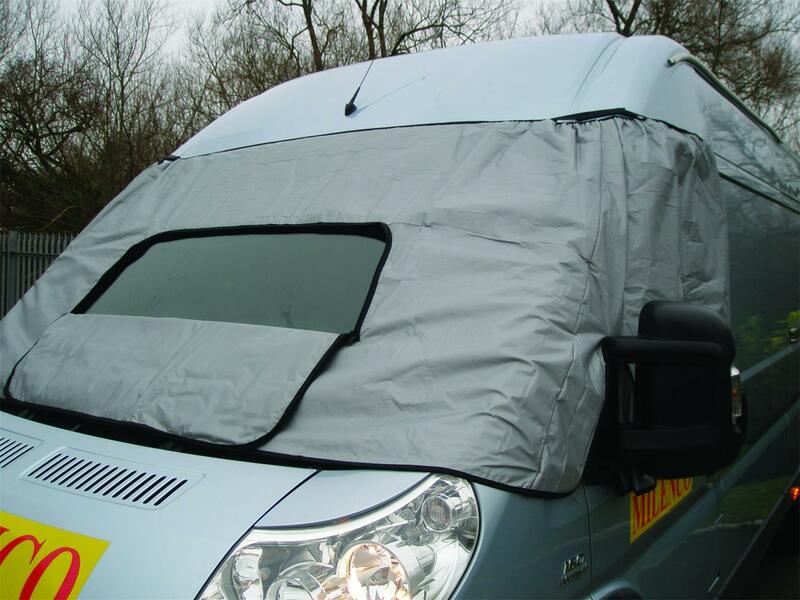 The Blind comes with a unique zip-down panel so you can see out or just add a little light into your Motorhome cab. Well packed and item as described, fits quite well, not as super tight as other brands but significantly cheaper. 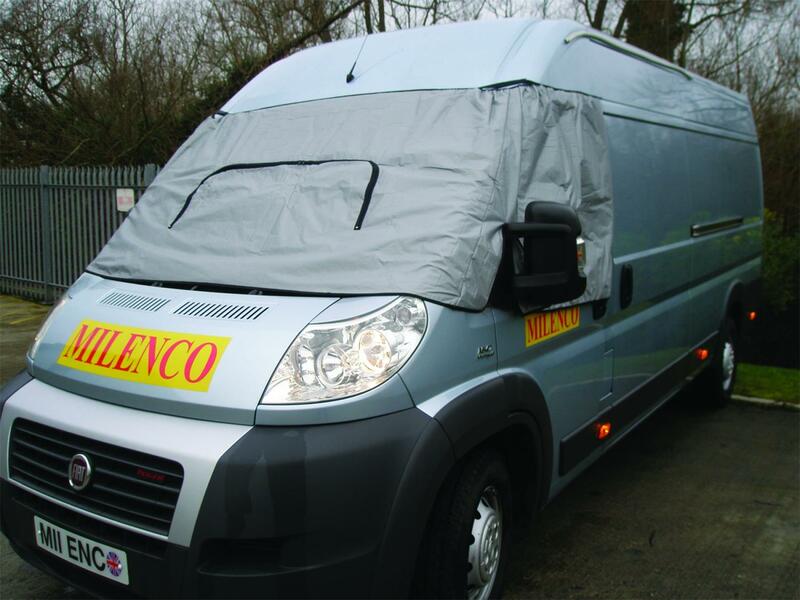 We sued this product last weekend on a Peugeot Boxer, we had overnight frost and yet in the morning had no condensation on the windscreen and side windows, felt very toasty inside too. Must remember to move the parking ticket into view though! Packs neatly back into its carrying case which is quite slim and goes in the boot/box on the back. 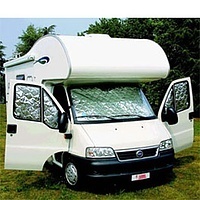 Took a chance in buying this for my Fiat Doblo campervan as the general advice was that it would be too big. However, it worked well and I am very pleased with the quality and value for money and it even comes with a smart carrying case. 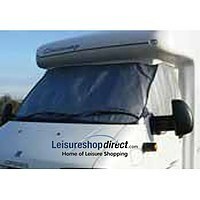 Due to the excellent customer service received from Leisure Shop Direct previously when purchasing a Heki roof light seal, I had no hesitation in ordering a Milenco external thermal blind for my motorhome. Delivery was within a few days and as before, I was kept informed of the status of my order at every stage. Great service so will use again. Like most Milenco products: well thought-out and manufactured. Centre opening with nylon zip ensures front visibility - all that's usually needed on a campsite.